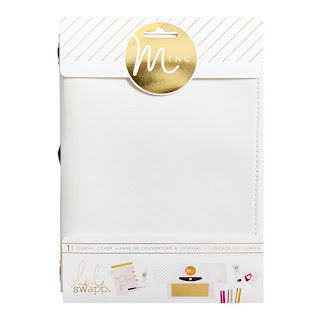 Im pretty sure that when the awesome Heidi Swapp was designing these canvas covers to compliment her MINC range, this isnt what she had in mind. 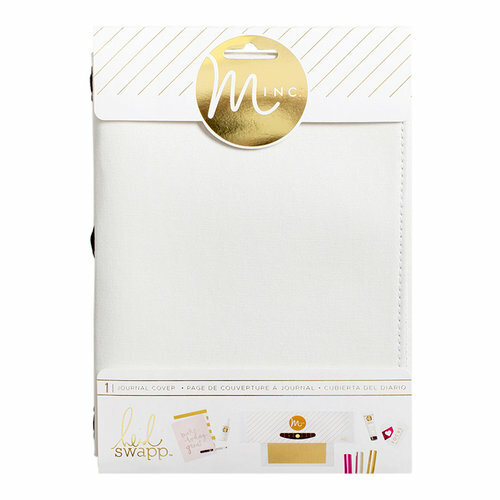 I received my Design team bundle from the extremely generous Kylie from Scrapping Clearly and as I unpacked my goodies this is the thing that grabbed my attention.... this is a good quality canvas cover that is well stitched and was perfect to house my 'junk journal'. Dylusions Colour sprays are my go-to ink sprays as they are super vibrant and the colour just pops. I used Bubblegum pink, Vibrant Turquiose and Crushed grape and some stencils to create the canvas cover background. Dont be afraid to give this a good soaking, the canvas took a fair bit of the colour spray and didnt leach through. I layered up some flowers, leaves, calico fabric, mesh and a wooden word from Flutterby Designs. I roughly glued them down then machine stitched the entire thing! I highly recomend you go slow and use a good quality needle made for leather work or heavy duty fabric. There were a few nights there where my daughter and I went crazy making gelli prints when we first got our Gelli plate. 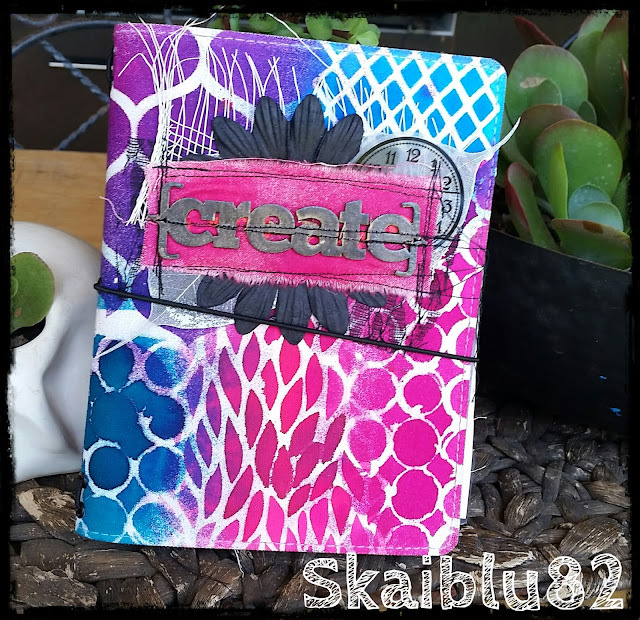 I used up all of the prints with colours that matched up with the pink/purple/blue theme and made them into several small books which i stuck together to make a larger journal. 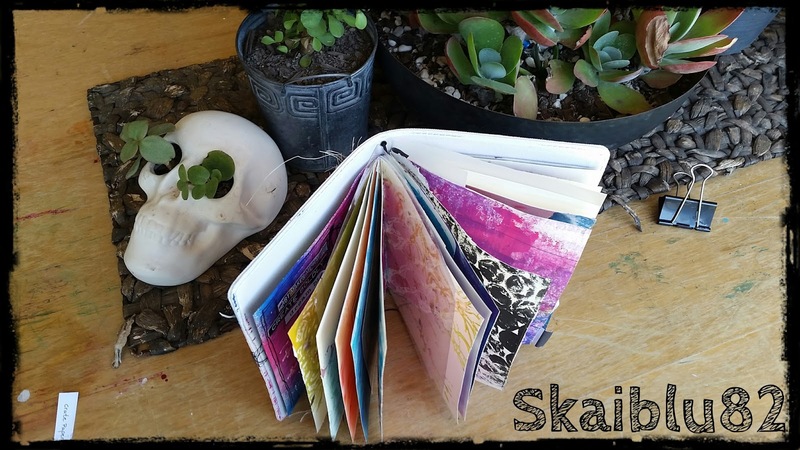 Now the Junk journaling can begin. Junk journaling is basically using up all your leftovers or 'junk' scraps and just playing and having fun... 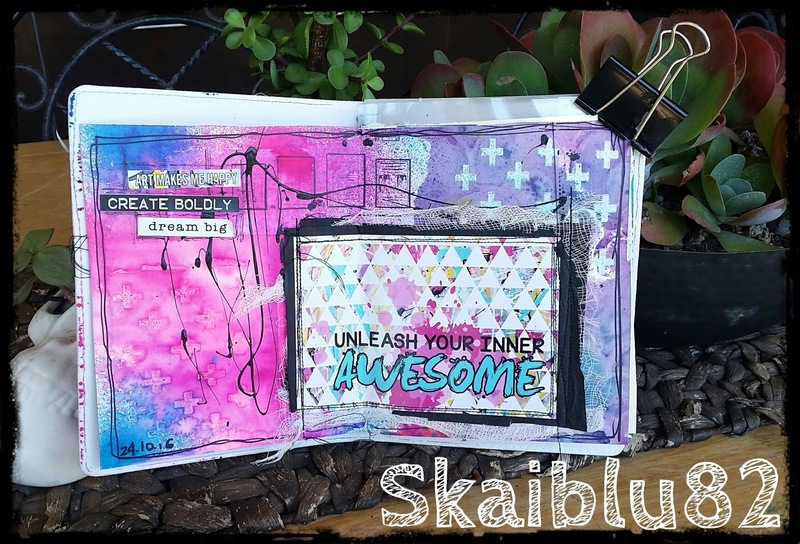 Here I've used medical gauze, black tissue paper, texture paste, more Dylusions sprays, black house paint and journalling cards from the Creative Chaos range from Flutterby Designs. Ah-may-zing! I love what you have done with this!